How much behind the wheel training is enough for new drivers? In the United States we have varying requirements for behind the wheel training for new drivers. Some states require 25, others 30, but the best states require 50. These requirements all pale in comparison to Australia’s mandated 120 hours of behind the wheel training. However, Barrie Sinclair, professional driver and driving instructor, argues that it isn’t nearly enough time for drivers to become confident behind the wheel. I have heard it say that it takes five years before someone becomes an average driver. Not Mario Andredi, just a good enough driver as the rest of the bad drivers out there. Five years. So Mr. Sinclair has a great point that 120 hours, or five days, of experience, is not nearly enough to equipt teens with the knowledge they need to be safe on the road. One of the biggest problems, he finds, is that many teens don’t drive the 120 hours that are required. A survey of 1300 Australian teens found that 40 percent lied, or knew someone who lied, about their hours. Sound familiar mom and dad? We do it here too for a third of the hours. The other problem, says Sinclair, is inexperience. Mr. Sinclair thinks the problem needs to be addressed with more education and yes, more training. He wants driver education to be in high school cirriculum and required time in the car with a driving instructor, which Australia currently doesn’t have a law on. He thinks that boiling down education to a piddly 120 hours of in-car training has killed driver’s education in Australia. More education comes at a cost. I feel that is one of the biggest reasons why more education isn’t required in the United States, Australia or many other countries where the love for the road and the mindset that driving is a right and not a privilage, overshadows the want to create good, safe drivers. 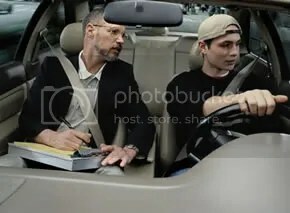 Here in the United States, where the best states require less than half of the drive time Australia requires for permitted drivers, parents complain that driver’s education is too costly. I would like to remind them that the average cost of a crash in the United States is $19,000 and that car crashes are the cause for nearly 40 percent of teen deaths. Yet they complain about the cost of a class that is less than most insurance deductibles. Talk about having their priorities askew! Until it happens to them it isn’t real. But until it happens to them, they may no longer have a child, or at the very least, be out of pocket thousands of dollars in insurance deductibles and increases. It is far less costly to prevent the crash through proper education, please, refocus your attention on making your child the best driver they can be, and not on your pocket book. This entry was posted on July 24, 2009 at 9:15 am	and is filed under dmv driver's training, driving school, Graduated Driver's Licenses. Tagged: australia, behind the wheel, DMV, drivers license, drivers training, driving instructor, graduated drivers license, license, new driver, teen driver. You can follow any responses to this entry through the RSS 2.0 feed. You can leave a response, or trackback from your own site. Spread the cost of a GOOD driving school over the 60 years someone can drive….it’s pennies a day. Think of the long term and not have short term goals. Well written!